If you have already explored all the new features of the MCPE 0.17 and want to get something new then try to install this add-on which will add a levitation potion. Using it you can fly up to the sky or to give this effect to some mob. Levitation continues 25 seconds, during which time you can go up to quite good height. The addon will replace XP bottle on the levitation potion. 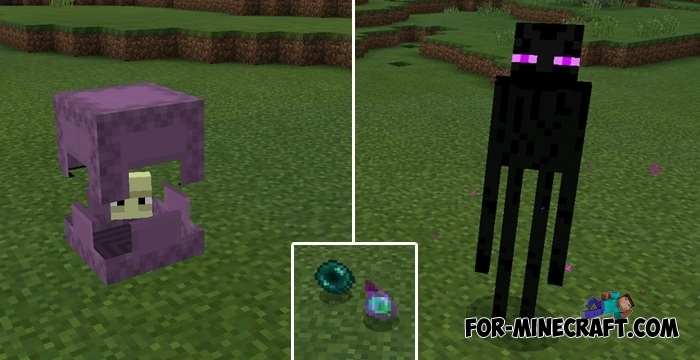 You can get this potion from enderman or shulker. Just kill any of them and grab a potion. Furthermore, the Levitation Potion works as a survival and creative modes. To test the levitation effect on yourself just throw up a potion. But if you want to launch the mob into the sky, throw a potion into it. Install the behavior and resource pack (guide).